The E-opto16 is an expansion board that adds 16 opto isolated dry contact inputs and can be connected to any of the 4 RJ-45 expansion ports located on the front panel of the securityProbe base units. 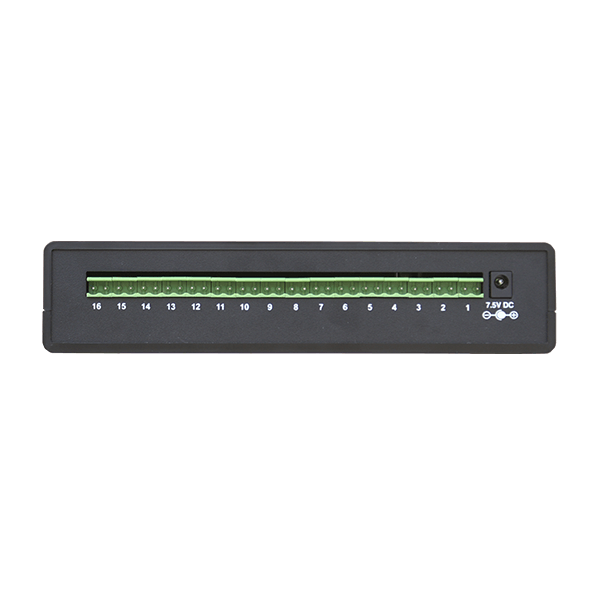 The E-opto16 can be connected to any of the 4 RJ-45 expansion ports located on the front panel of the securityProbe 5E base unit using standard CAT5 LAN cable. The E-opto16 may also be daisychained using the E-Out / E-In ports on other expansion boards. A wide variety of equipment that generates an output signal or voltage can be connected to each of the 2 wire dry contact inputs located on the back of the E-opto16 module. The (16) dry contact input LED status is displayed on the front panel. The E-modules can be extended up to 300 meters from the securityProbe 5E base unit. There is no limit to how many E-modules can be connected to a single securityProbe 5E. It depends only on the number of sensors connected. 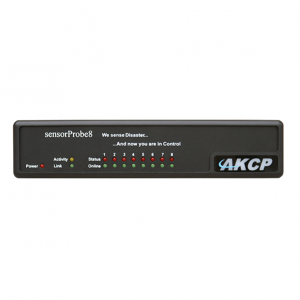 A maximum of 500 data points can be monitored by the securityProbe 5E base unit. A typical application for the E-opto16 would be to connect the outputs of an alarm panel to each of the 16 dry contact inputs allowing the securityProbe 5E’s full-featured built-in notification system to be integrated into these alarm panels, or other systems that output a voltage. The 300-meter maximum run length is not the total run length of all of the E-Boards combined. This is each E-Boards maximum run length from either the base unit or from each other. • The extra dry contact inputs on the X20 and X60 units can be switched from opto-isolated mode to non-opto isolated mode (jumper setting on the boards), where the E-Opto16 inputs are all shipped as opto isolated and cannot be configured as non-opto isolated. Because of this, the E-Opto16 inputs do require an input voltage as the module will not supply this voltage. See the E-opto16 product manual for connecting simple switches to the modules inputs. • The extra dry contact inputs on the X20/X60 units do not require any input voltage if left in their default configuration of non-opto isolated (see the sensorProbe manual for these jumper settings). The E-Opto16 (16 opto isolated dry contact inputs) expansion unit is used when the customer requires inputs of more than 5 Volts DC up to 24 Volts DC, hence the use of the term opto-isolated. • Differences between the E-Opto16 and the IO-Digital8 (8 inputs or outputs on a single sensor port) and DCS15 (single input or output on a single sensor port). • Compared to the E-opto16, the IO-Digital8 is for 5 Volts or less and it has the added advantage of supplying 5 Volts output at 20milliamps. 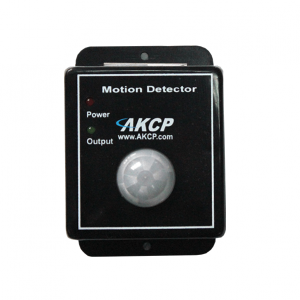 This would be used if the inputs require 5 Volts or less or the requirements are a 5 Volt output. 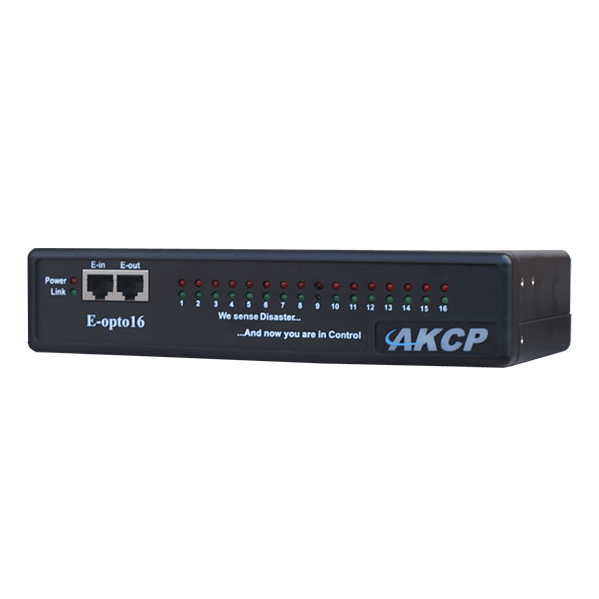 The DCS15 is the same only using a single input or output on a single RJ-45 port. • Manufactured using highly integrated,low power surface mount technology to ensure long-term reliability. The OID will start with .1.3.6.1.4.1.3854.2 for checking the sensors on the expansion modules including the E-Sensor8. This SNMPwalk command .1.3.6.1.4.1.3854.2.3.1.1 can be used for checking all of the sensors on the securityProbe 5E. This SNMPwalk command .1.3.6.1.4.1.3854.2.2.1.1 can be used for returning the status of the expansion modules.